In the 1980s and early 1990s, a substantial number of U.S. companies announced major restructuring and downsizing. But we don't know exactly what changes in the U.S. and global economy triggered this phenomenon. Little research has been done on the underlying causes of downsizing. Did companies actually reduce the size of their workforces, or did they simply change the composition of their workforces by firing some kinds of workers and hiring others? 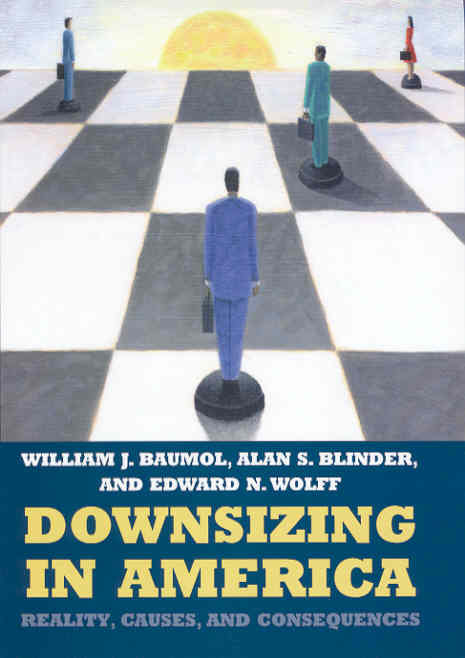 Downsizing in America, one of the most comprehensive analyses of the subject to date, confronts all these questions, exploring three main issues: the extent to which firms actually downsized, the factors that triggered changes in firm size, and the consequences of downsizing. The authors show that much of the conventional wisdom regarding the spate of downsizing in the 1980s and 1990s is inaccurate. Nearly half of the large firms that announced major layoffs subsequently increased their workforce by more than 10 percent within two or three years. The only arena in which downsizing predominated appears to be the manufacturing sector-less than 20 percent of the U.S. workforce. Downsizing in America offers a range of compelling hypotheses to account for adoption of downsizing as an accepted business practice. In the short run, many companies experiencing difficulties due to decreased sales, cash flow problems, or declining securities prices reduced their workforces temporarily, expanding them again when business conditions improved. The most significant trigger leading to long-term downsizing was the rapid change in technology. Companies rid themselves of their least skilled workers and subsequently hired employees who were better prepared to work with new technology, which in some sectors reduced the size of firm at which production is most efficient. Baumol, Blinder, and Wolff also reveal what they call the dirty little secret of downsizing: it is profitable in part because it holds down wages. Downsizing in America shows that reducing employee rolls increased profits, since downsizing firms spent less money on wages relative to output, but it did not increase productivity. Nor did unions impede downsizing. The authors show that unionized industries were actually more likely to downsize in order to eliminate expensive union labor. In sum, downsizing transferred income from labor to capital-from workers to owners. Downsizing in America combines an investigation of the underlying realities and causes of workforce reduction with an insightful analysis of the consequent shift in the balance of power between management and labor, to provide us with a deeper understanding of one of the major economic shifts of recent times—one with far-reaching implications for all American workers. WILLIAM J. BAUMOL is professor of economics, New York University. ALAN S. BLINDER is Gordon S. Rentschler Memorial Professor of Economics, Princeton University. EDWARD N. WOLFF is professor of economics, New York University. Can Full Employment Be Sustained? Good Jobs America shows that both government and the firms that hire low-wage workers have important roles to play in improving the quality of low-wage jobs.